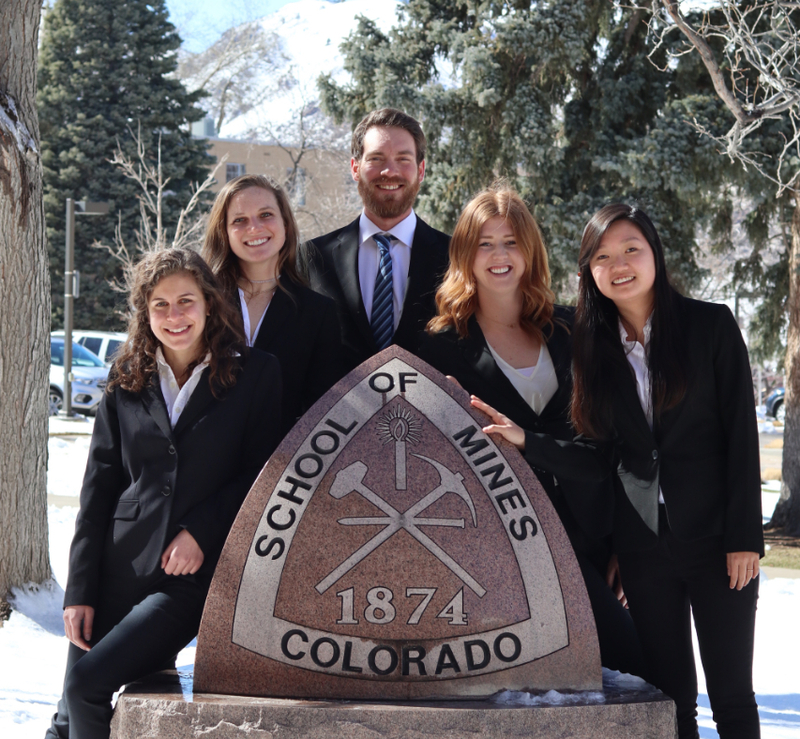 A team of graduate students from Colorado School of Mines took first place in the Rocky Mountain section of the Imperial Barrel Award Program, earning a spot in the world finals this May. More than 250 teams from 50 countries around the world participate every year in the prospective basin evaluation competition, organized by the American Association of Petroleum Geologists (AAPG). One winner from each of the 12 AAPG sections moves forward to the international competition, which will be held during the 2019 AAPG Annual Convention and Exhibition May 19-22 in San Antonio, Texas. This year’s Mines squad includes geology and geological engineering graduate students Alden Griffin, Corey Milar, Courtney Bone and Kaci Kus and geophysics graduate student Sima Daneshvar. Geology and Geological Engineering Professor Steve Sonnenberg is the team’s advisor. “We set the standards really high for ourselves. The team got second last year – we really wanted to come in and prove that Mines is still one of the best to compete against,” Bone said. For the regional competition, teams were all provided the same data set that included information on geology, geophysics, land, production infrastructure and more. They then had eight weeks to analyze the data, form recommendations and prepare a 25-minute presentation for a judging panel of industry experts. At the international competition in May, the Mines team will be presenting the same data set as at regionals. They’ll be up against five other U.S. teams and six international teams.